CALM Initiative Transition Meeting -- December 13 and 14, 2017. 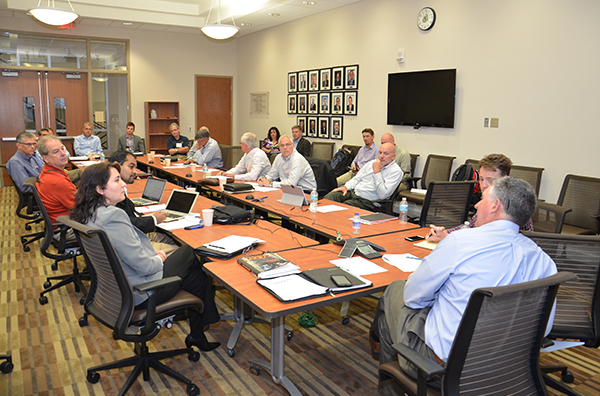 The Energy & Environment Innovation Foundation (EEIF) team hosted over 30 companies, and five electric power utilities to address challenges with ash basin closure construction, beneficial use and wastewater treatment. Meetings include a variety of presentations on new technology for ash basin stability evaluation and verification, coal plant fixed cost liability transaction, and equipment for creation and pumping and CCR pastes.